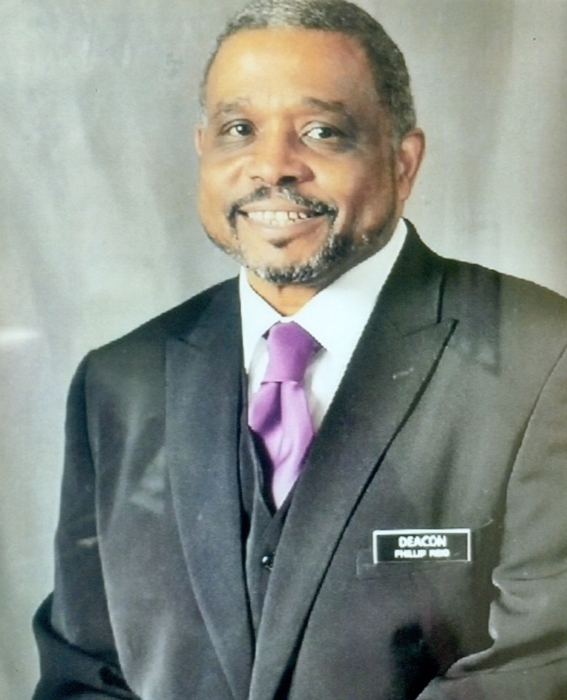 Obituary for Phillip Tyrone Reid | Clark Funeral Home, Inc.
Phillip Tyrone Reid, 60, of Province Dr., SW, Concord, NC passed away Tuesday, March 19, at Levine &Dickson Hospice House in Huntersville, NC. He was born November 2, 1958 in Cabarrus County to the late Charles Lynn Horton and the late Alice Reid Byers. Phillip was educated in the Cabarrus County School System and was employed with Time Warner Cable (Spectrum). He was a member of New Life Baptist Church, where he served as Ordained Minister, Ordained Deacon, Usher, Bus Driver, Choir, Soul Winner and Founder of Men’s Fellowship. Phillip was a former Board Member of Boys& Girls Club of Cabarrus County and a devoted member of McMillian Acres Neighborhood for over 35 years. Services will be held Saturday, March 23, at New Life Baptist Church. Visitation will be at 11:00 – 12:00 PM with funeral services at 12:00 PM. Burial will follow at Carolina Memorial Park. In addition to his parents he was preceded in death by his step-father, Walter Byers, Sr.; a sister, Lynn Horton; two god-daughters, LaToya Rucker and LaShunta Rucker. Those left to cherish fond memories include his wife, Ellen Walker Reid of the home; two daughters, LaToya R. Anderson of Hickory and Philnekia R. Mills (Blake) of Concord; one son, Charnanda T. Reid, Esq. (Nikia) of Raleigh, NC; seven grandchildren, Alexandria, Caleb, Christian, Arianna, Phillip, Nicholas and Henry; two sisters, Debbie Reid of Winston-Salem, NC, Cherelle Eddleman (Rev. William) of Concord; four brothers, Arthur Reid, Sr. (Renee) of Concord, Walter Byers, Jr. of Concord, Randall Hunter (Gloria) of Mint Hill, NC and William Wood (Kourtney) of Kannapolis; in-laws, Larry & Gloria Rucker, Sr., Walter & Janet Walker, William Walker and Truvanis Lowery; godson, Larry Rucker, Jr., devoted son in-law, Anthony Anderson of Charlotte; devoted aunt, Linda Colbert; special cousins, Dennis & Doretha Bost and a host of aunts, uncles, nieces, nephews, cousins and friends. The family would like to give special thanks to Levine & Dickson Hospice House in Huntersville, NC and Hospice & Palliative Care Charlotte Region.